On the morning of the Crooked River boat race, Brad Hersey and I paddled into the cove where the new loon family had been spending most of their time throughout summer, and found them deep in the safety of their bay, tucked so securely against the weedy shoreline, we had a difficult time picking them out through the rushes and reeds. Good thing, too, because the race course took the speeding boats much closer to the nesting area than previously thought. Had the loons been out in the main body of the lake, which they might have been had nesting occurred in May (rather than a month later when this pair actually nested) they might have been in harm’s way. One hopes they can hear, or feel, the rumble of approaching boats, and are able to get out of the way before the danger is upon them. Anyway, this family has managed to escape all threats the lake posed to them this year, and have, so far, fared pretty well on this busy lake this first breeding season in decades. 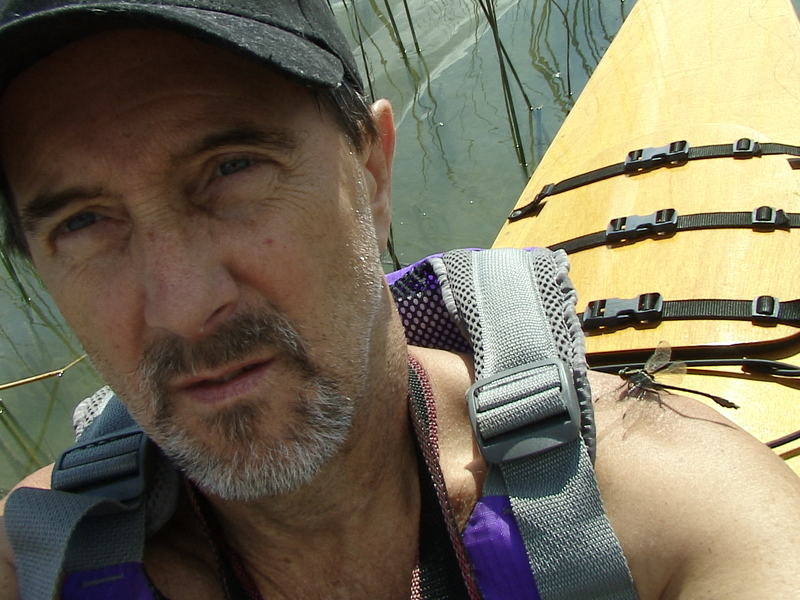 Unable to commune with the resident loons, at least a friendly dragonfly lighted on my shoulder, shared a kayak ride, and a brief visit. 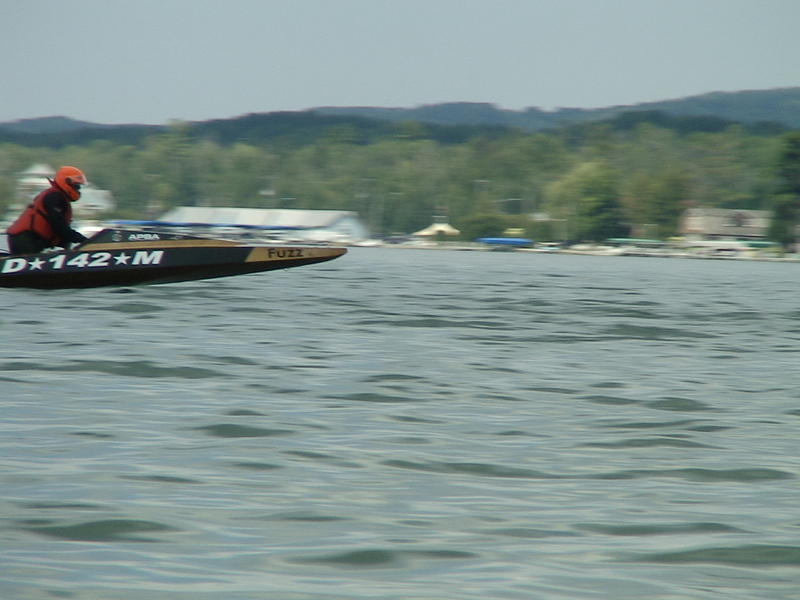 Posted by Jeff Lange on August 23, 2015 in Cool New Things, Lakes Restored and tagged Crooked Lake, Crooked River Boat Race, Emmet County, Looncorps, Loons. Could you please send pictures from Big Blue Lake? Thanks for trying to help the loon. Good to see you too, Peg. If nothing else, we at least got a long-overdue visit. Today, I talked to Chris from Blue Lake, and their latest plan is to string a net across the narrow, shallow channel and try to herd the distressed loon through it. Might work, too. I don’t see the conventional ways working anymore, since this loon is well on to the usual tricks by now.